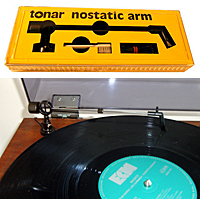 The Tonar Nostatic Arm cleans records as you play, reduces record and stylus wear and eliminates static build up. 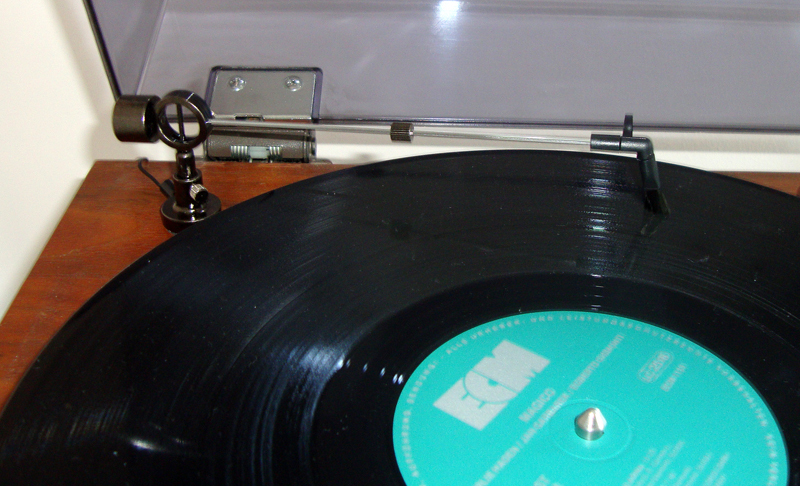 The arm may be be placed in any convenient position around the turntable ideally fixed at the distance at which the carbon brush can reach the centre of the turntable. The height is adjustable to install the arm parallel to the record surface and an adjustable weight is provided that can be moved up or down the arm to provide optimum pressure on the the carbon fibre cleaning brush. 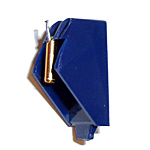 A ground wire to provide a conductive path back from the arm to the amplifier to dissipate static charges whilst playing. 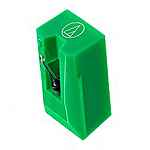 The Tonar Nostatic Arm is supplied fully packaged complete with installation diagram and instructions and a separate stylus cleaning brush.